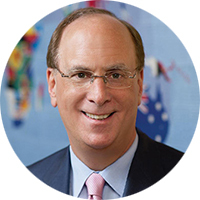 In his 2019 letter to CEOs, Larry Fink’s shared value vision is clear. The world needs business to embrace a greater responsibility and tackle the pressing social issues that only corporate leadership can help solve. Fink is not just calling for business to become more purpose-led, rather, he is calling for stronger ties between purpose and profit – a fundamental concept of shared value. In response to Fink’s critics who view profit maximisation as the sole purpose of business, Mark Kramer, co-author of the Creating Shared Value Article, argues that it’s time for business leaders to let go of the notion that social factors are irrelevant to the economic success of business. Instead, organisations should view social issues as opportunities for economic success. The challenge now is for organisations to step-up or face being left behind. As wealth continues to shift from baby boomers to millennials, organisations who put shared value at the heart of their business strategy will see greater long-term success than those who pursue profit without purpose. We look forward to further exploring the ties between purpose and profit at the 2019 Shared Value Summit Asia Pacific with our theme, Business on Purpose.